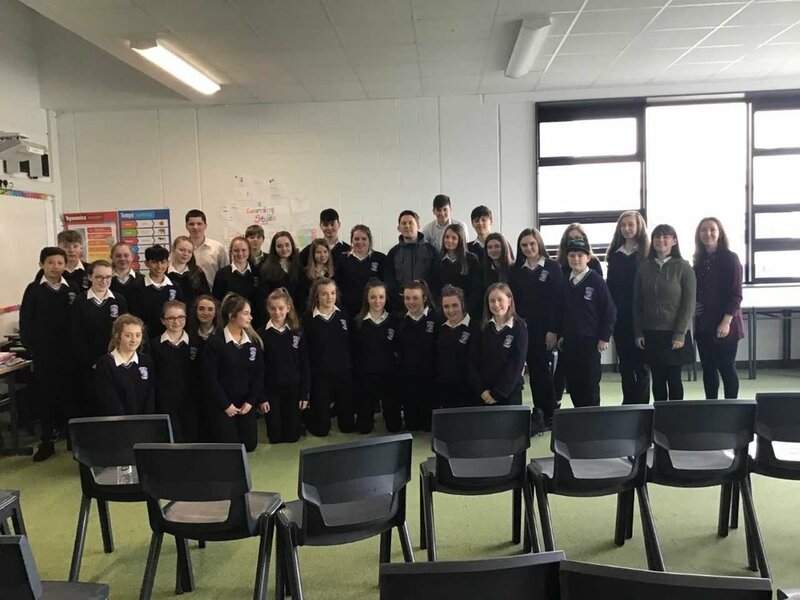 Drama Workshop with Mr. Shane Casey, Actor, Wellness Week, April 9th. Thanks to Shane and John for facilitating a most enjoyable Drama Workshop today. Second Years were delighted to meet and greet the legendary “Billy Murphy”. Thanks to Ms Gallagher, Music Department for Organising.